Hanging shadow Bottle Light. Awesomely Handmade right here in Vadodara. 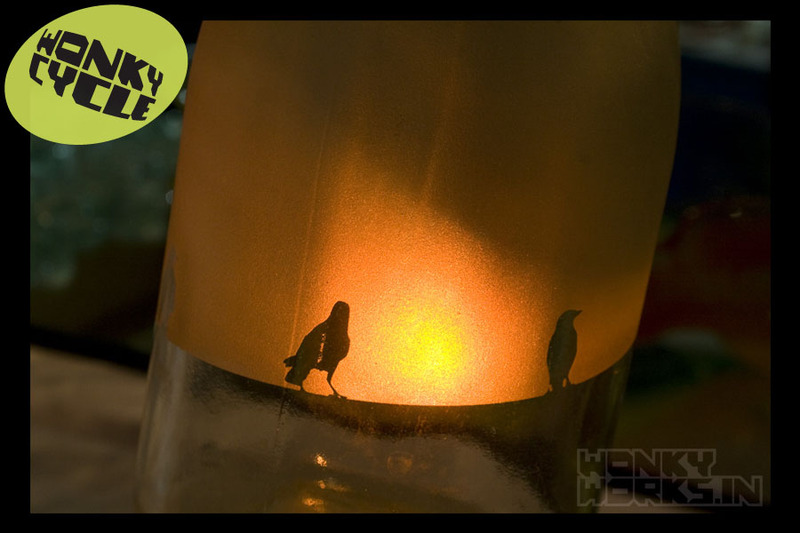 One of a kind Artwork permanently etched on an up-cycled glass bottle. Easily changeable bulb. Comes with a original first print photograph and spare bulbs in 4 more colours.